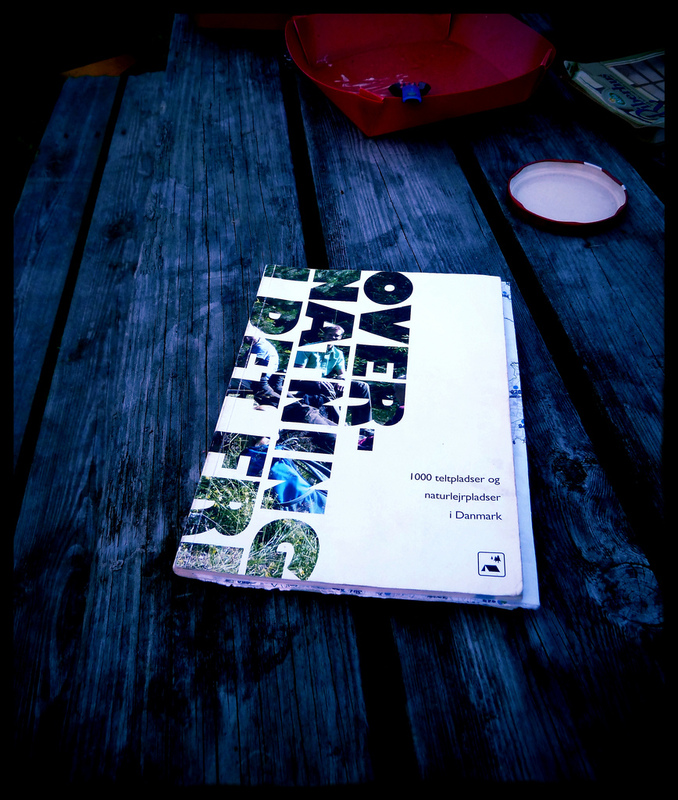 Overnatning I Det Fri is a book listing over 1000 basic camp sites in Denmark. They are set up on spare pieces of land by private owners, organisations and local authorities. They range from small patches of grass next to harbours, to clearings in the woods, to sea side lookout points to lakeside plantations. The sites are for use by walkers and cyclists, some accept dogs, horses and boats! Many are completely inaccessible by car. Each site cost a maximum of 25DK per person per night. In reality many sites are free, in total we spent about 250DK (£25) between 2 people for 10 nights including payments for hot showers… Not too bad! We travelled during the last 2 weeks of June and only saw other people at 2 or 3 sites. The sites are split into green nature sites and blue (non nature) sites. The nature sites tended to be in woodland or plantations and were more basic than the blue sites. We never paid for a nature site, some had a toilet, none had running water, some had shelters, all had benches and tables. The blue sites tended to be nearer to towns but were all still in very nice locations. 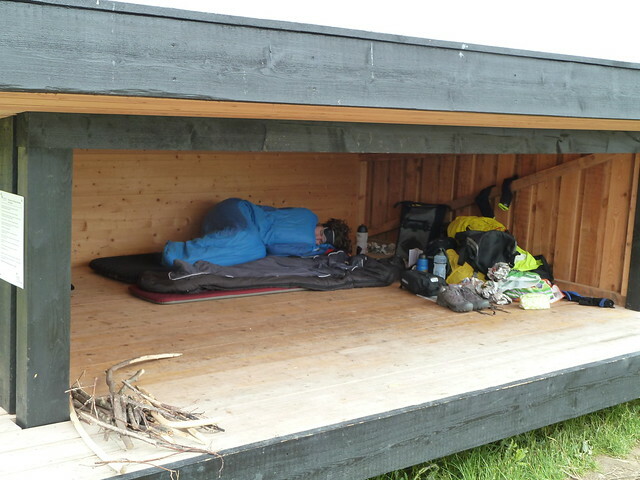 Many of the sites had sleeping shelters. These were wooden shelters raised off the ground, with one side open. 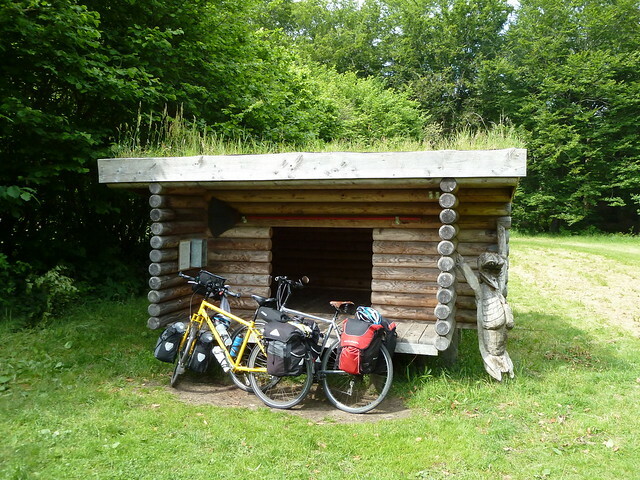 The walls and roof are waterproof and you can sleep inside without a tent (as long as there are no mosquitoes)! They will sleep 6 to 8 people at a squeeze and 2 people very easily! We found that about 75% of sites had these, they make an excellent shelter during a wet/windy night. No extra charge for these. 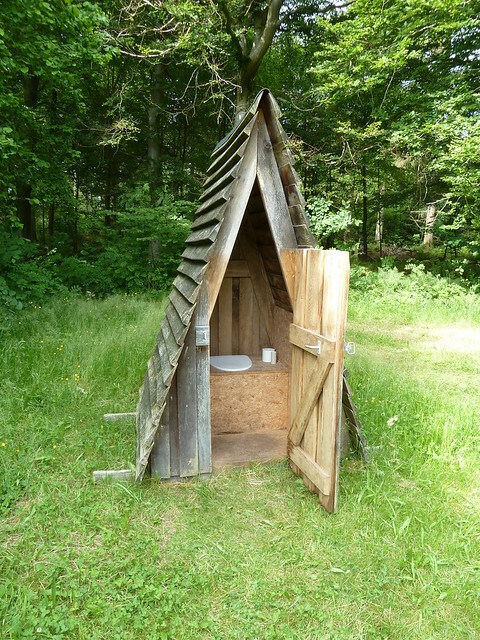 Many of the nature camp-sites had composting toilets, all were extremely clean and always had toilet paper available, we were pleasantly surprised! Many of the sites had showers, some of these were free, but some needed a payment of up to 20DK (£2). Most of the sites had a ‘grillplads’, these were fireplaces with an iron grilling contraption above! These varied from a simple iron bar square to a fully fledged height adjustable movable grill. We ate most nights by cooking Danish sausages over twigs we collected nearby! Yum! You can see one of the better designs of a grill here, this is a green nature site at a plantation. The sites can be found using the directions in the book (a bit vague and in Danish) or by using the GPS coordinates given for each site. These were always accurate to within a couple of meters. Downside: The book and camp-site descriptions are in Danish, I’m planning on writing quick translation guide soon, but take a phrase book and you’ll be fine. This entry was posted in Uncategorized on July 7, 2012 by Matt. Hi! 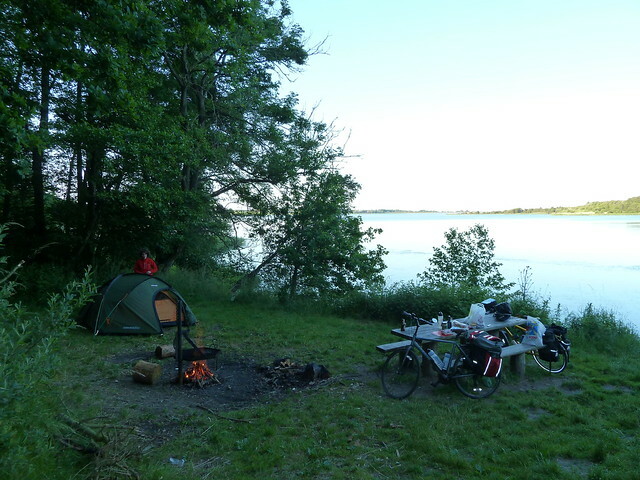 I really enjoy your blog and as this year I’m planning bike trip in Denmark many information you provided seems to be really important. Thanks a lot! Unfortunately the book you wrote about isn’t delivered to where I live ( Poland) so i I’d like to ask if you managed to write that tranlation guide you wrote about? Did u write the translation? I’m afraid not. It was never going to be a translation, just a dictionary of words that people could use to understand the guide. I’ve got a notebook full of these words somewhere, I’ll scan it and get it uploaded onto this post in the next few days.